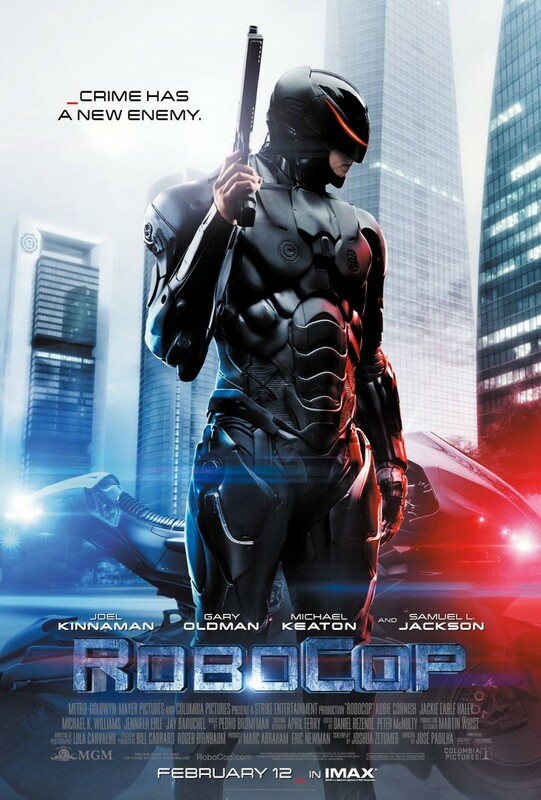 If you’re unsure of what this is about, Robocop (yes, that’s right, ROBOCOP) has been remade and is coming out later this year. No, I’m not kidding. The trailer isn’t actually that bad, but the marketing video above, launched to coincide with the real CES that has just finished up in Las Vegas, is a clear homage to the same style of video that Ridley Scott released last year for Prometheus. In that one, Guy Pearce’s character, Peter Weyland, gives a talk at ‘TED 2023‘ about how he ‘WILL CHANGE THE WORLD’. 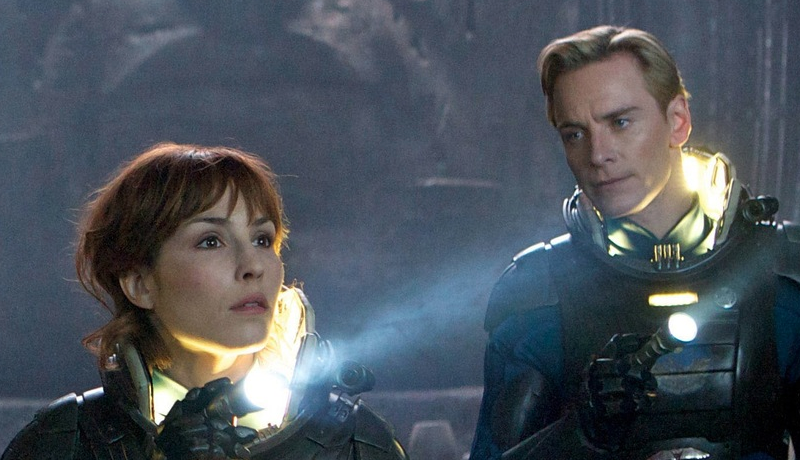 It was smart, it was innovative, and it certainly stood head and shoulders above the usual trailers and teasers you see year in, year out (for what it’s worth, Prometheus was OK, but the plot holes were enormous). This thing from Robocop is a poor imitation at best. At worst, it puts people off seeing a film that they probably didn’t want in the first place. At the time of writing, the view-count is still sub-100k. I wonder if the box office takings will be the same. Current attempts at television-based social media integration are failing, hard. To find the solution, we first need to fully understand the problem. 2screen / dual-screen / second-screen — all are different names for the kind of integration that I’m referring to and it’s something I’ve been kicking around in my head ever since I went to my first 2screen event back in October 2010. It was a big deal then and it’s a bigger deal now. With the increase of iPad penetration and the continuous growth of the smartphone market, the notion of 2screening is becoming more and more commonplace. In fact, a recent Neilsen survey found that 80% of tablet and 78% of smartphone owners used their device while watching TV at least once during a 30 day period. In the app-world, services such as ZeeBox and Sky Sports for iPad are doing very good things indeed. Both integrating news, stats and social media streams into your second screen; providing a suitable data-based accompaniment to your visual consumption. However, I want to talk about television-based social media integration (not app-based). That’s how Sky One’s ‘Got to Dance‘ handles it and many other broadcasters follow suit. 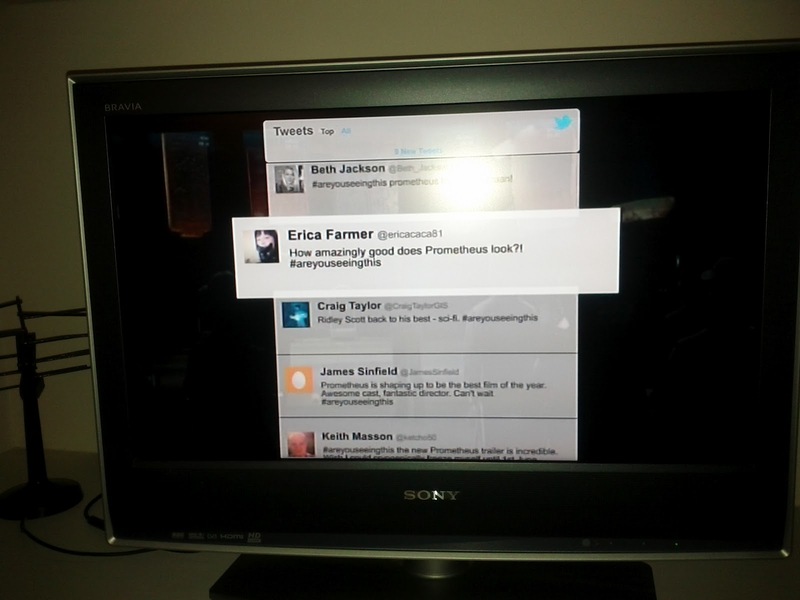 BBC One is getting in on the act too, here using a Twitter wall backstage for the UK edition of ‘The Voice‘. What do these examples all have in common? Fundamentally, they are all bringing (or at least attempting to bring) the conversation from the second screen, to the first. Which, correct me if I’m wrong, kind of defeats the object of the second screen. Whether it’s reading out tweets during the credits of Celebrity Juice on ITV2 or talking about Facebook wall posts inbetween programmes on BBC3, broadcasters seem to be obsessed with sharing (read ‘owning’) viewer social media. Recognising that conversation takes place away from their platform(s), TV + social media work best together when television directs its audience to the conversation medium, as opposed to smashing them in the face with it via another. Sorority Girls, an E4 TV show, flashes up their hashtag both at the start and at the end of their show as well as when going into ad breaks. – and giving the audience a your hashtag at this point is a very good idea. You own it, you guide it, you track it. Little pointers like this give you, the viewer, the option of tracking (and joining) the back-channel. If you understand what it means, you join the conversation. Perfect. I guess this is one big plea to broadcasters to just stop reading out tweets and Facebook updates on the telly. Seriously, it just doesn’t work. Finally, and returning to the opening image of this post, the new trailer for Prometheus aired recently during the first break of Homeland. Channel 4’s own announcer was employed also, asking viewers to tweet their reactions using the hashtag #areyouseeingthis. So far, so good. Right? Right. 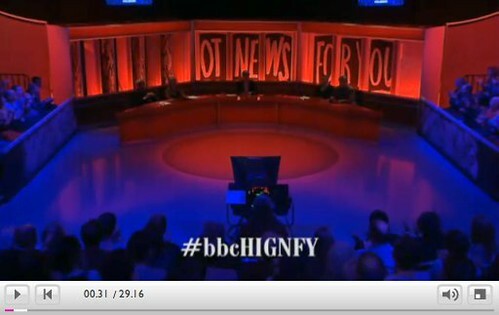 Except that, 20mins later (during the next ad break), those very tweets were displayed onscreen for all to see. Yes that’s actually a TV ad you’re seeing there, with (clearly moderated) tweets displaying instead of your usual commercial break. Mental. Reports state that this activity reached a potential audience of 15m users. (Note: POTENTIAL audience. That’s the number of every tweet with the hashtag, multiplied by their sum of their followers – ie: not a real number). And while this kind of exercise is a great advert for Twitter, it leaves existing fans and users feeling a bit… empty. In closing, encouraging viewers to join an online conversation is one thing, replaying that conversation to them 20mins later is just a pain in the oculars. Author James WhatleyPosted on May 6, 2012 June 26, 2012 Categories film, iPad, Mobile, Social Media, Television, VideoTags 2screen, dual-screen, Prometheus, second screen, Social Media, social tv, thevoiceuk, TV31 Comments on Current attempts at television-based social media integration are failing, hard. Five things of note for the week ending Friday April 27th. It’s out this week. I’ve seen it. It’s awesome. You should see it too. …but tickets have just gone on sale here in the UK (if you know where to look) and I’ve got mine booked in — Bring it on. 30mins of brilliance. Watch it. Bonuses: Stunning dear-shaped electrical pylons – no, seriously; a couple of trailers for Cronenberg’s latest – Cosmopolis; and some breath-taking images of android-augmented women – which have to be seen to be believed. 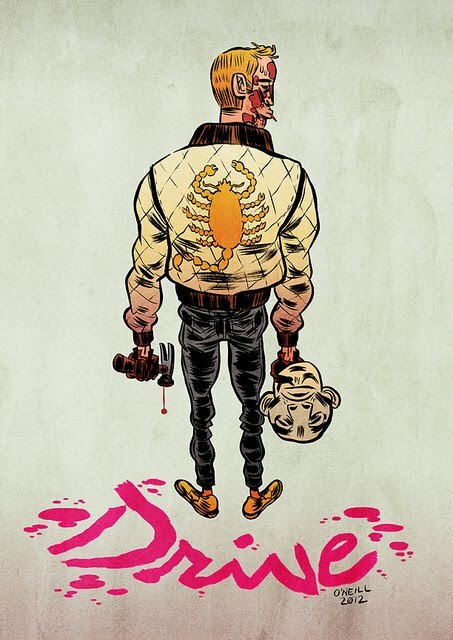 Any excuse to post more stuff about DRIVE – aka the best film of 2011 – really, via my usual source of brilliant stuff. I was diagnosed with acute sinusitis on Tuesday (having been out of action since last Friday) and the only thing I know about it is that a mate of mine at college used to suffer with it a lot. ‘Sicknote’ we called him, bless. But, if you’re reading this now – Bodger – I apologise. I take it back. This thing is agonisingly painful and OH MY GOD I wouldn’t wish it upon anyone. Also, I can’t go outside. More (read: better) Prometheus goodness. 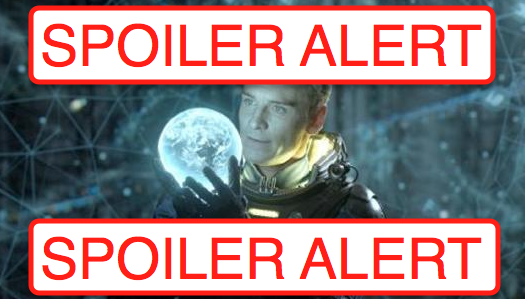 This time in the shape of Michael Fassbender’s take on the now-required Ridley-universe Weyland android. 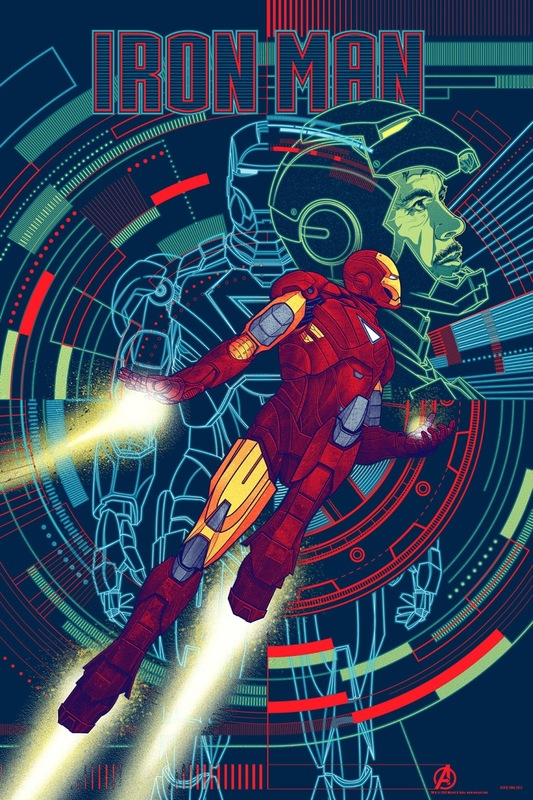 I like, a lot – via Total Film. I love this stuff; Artists Chris McMahon and Thryza Segal like to buy second hand paintings and then just add monsters. Apparently the trick is to match the paint originally used (e.g., acrylic or oil) and try to blend the monsters into the original scene as if they were always there. I’m actually tempted to give it a go myself. 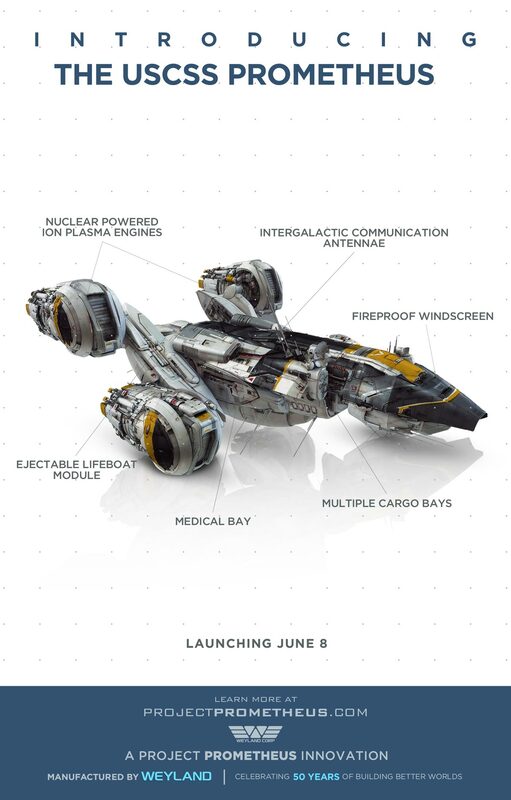 I’m loving pretty much everything I’m reading about Prometheus so far, this one-sheet/poster/ship detail is good, but for some reason – in this instance at least – I expected a little more detail.